There has been a church in Chadwell since before the Norman conquest. 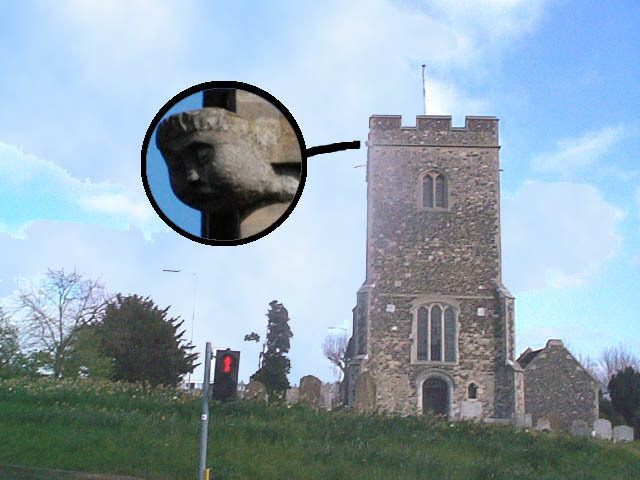 The present church is on the top of Chadwell Hill - possibly on the site of the original Saxon church. The nave is Norman, the chancel is 14th century and the tower was built around 1500. High on the northwest corner of the tower a face beams down. A similar figure (although much more worn) was found in Chadwell churchyard and is now on display in Thurrock Museum. This suggests that there were once figures on each corner of the tower.